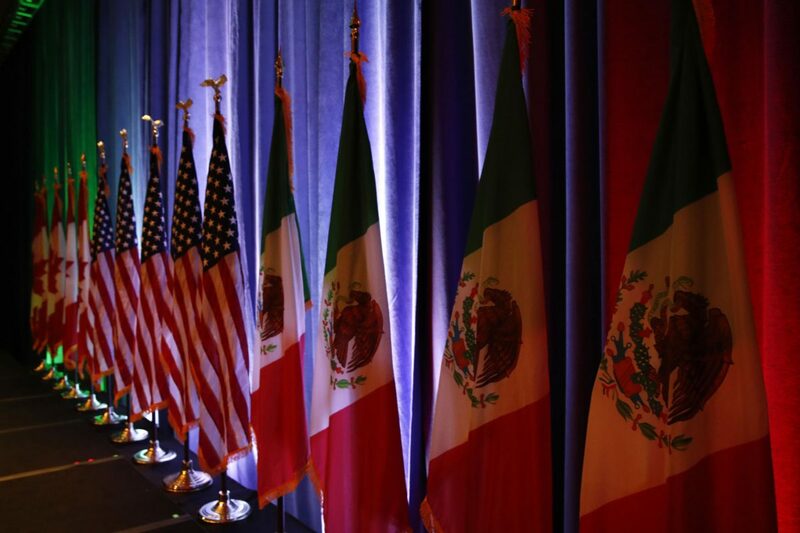 McALLEN — A day after the sixth round of North American Free Trade Agreement talks concluded in Montreal, President Donald Trump didn’t even use the five-letter acronym in his nearly 90-minute State of the Union address Tuesday. Amid emphasis on immigration, North Korea and bipartisanship, the word “trade” was mentioned just four times during the president’s speech. Still, while Trump didn’t highlight the ongoing negotiations Tuesday, many members of his Republican Party did in a letter to the president earlier in the day. The importance the 24-year-old treaty has had on the United States was stressed in the letter, which was signed by 36 GOP senators, including Texas Sens. John Cornyn and Ted Cruz. After five slogging rounds between August and November 2017 that cast uncertainty over the trade industry, the negotiations seemed to generate slightly more optimism following this recent round. Schwebel, who’s based in Laredo, is also part of the U.S.-Mexico Economic Business Council. He’s been in the room for all six rounds of negotiations, he said, and is the only person from Texas who can say as much. While he doesn’t believe a deal is imminent following the seventh round in Mexico City later this month, he’s targeting the end of March but isn’t holding his breath. 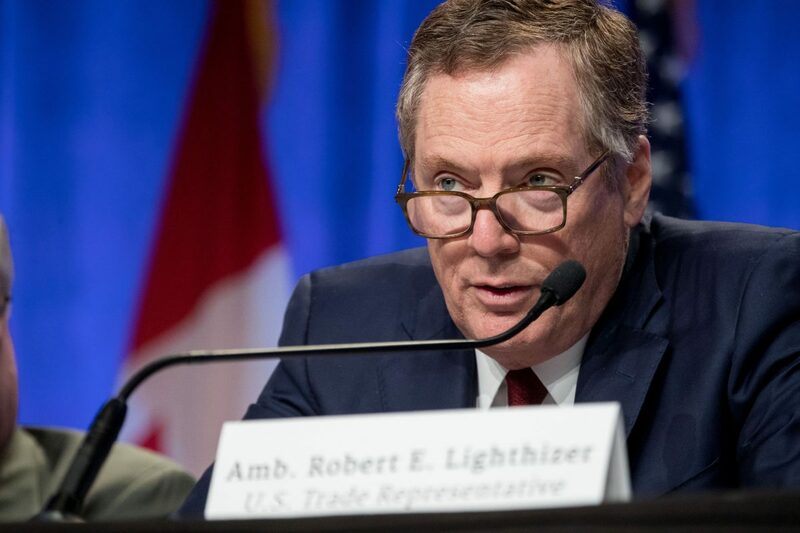 The trade negotiating veteran has observed pact talks from afar and up close, like he is now and during the initial NAFTA negotiation in the early 1990s, when he was chairman of the Border Trade Alliance. Despite Schwebel’s optimism coming out of the sixth round and a hopeful end-of-March conclusion, he allowed for caution on the timeline. “We’ve always said in our chamber, we need to focus on substance of an agreement, not rush into something we may regret what we agreed upon in the hastiness to reach an arbitrary date,” Schwebel said. U.S. Trade Representative Robert Lighthizer echoed these sentiments. However, customs brokers haven’t had the same confidence. Jim McNamara, another McAllen customs broker, was not only troubled by Trump not seeming to place an emphasis on NAFTA in Tuesday’s address, but is also concerned about looming political seasons. Mexico’s presidential election is on July 1, with three main candidates vying for the presidency. Andres Manuel Lopez Obrador, who rivals describe as a dangerous radical similar to the type of socialist governing that has destroyed Venezuela, is the one candidate who presents dangers to NAFTA. U.S. midterm elections follow in November, when the majority party in either chamber could potentially flip. This could present problems to the passage of a new NAFTA, Torres said. Local customs brokers seem to echo each other on their top interests in the negotiations: rules of origin, e-commerce and documentation. Whether those chapters will get updated appropriately remains to be seen. “Be ready for the worst and hope for the best,” Torres said.